Palladium; Blue and green colored diamonds. 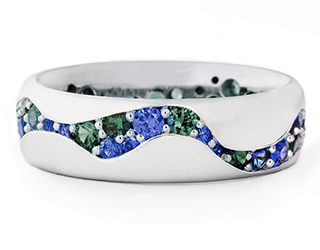 The river wedding band, another design inspired by a poem, this time by Emily Dickinson. Say — Sea — Take Me!